This entry was posted in Event report, The Digital Nonprofit 2016 and tagged dnp2016 on May 11, 2016 by admin. 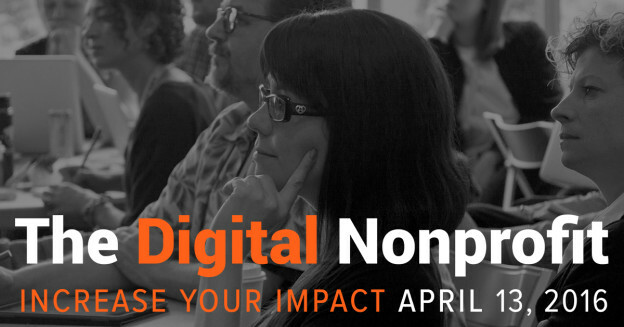 Now in its 3rd year, The Digital Nonprofit Conference is ready to take you to the next level of tech success in your organization. Here’s our agenda for Wednesday, April 13. 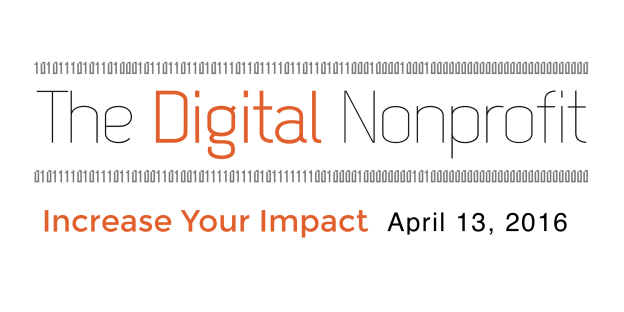 This entry was posted in The Digital Nonprofit 2016 and tagged dnp2016 on April 5, 2016 by admin. Discover our full line-up of experts in the conference agenda . Non-profits, governments, and civil society groups are not immune from the disruption digital networks have wrought in every other aspect of society. Jason and his team recently studied 40 campaigns, companies, and organizations that have recently won substantial social change efforts, and analyzed the common principles underlying their success. The results lined up with a career spent studying (and living) digital networks and movements. Jason will be sharing the results of this research in Vancouver for the first time – a month before its official international launch. These principles of 21st Century campaigns will be combined with stories that bring them to live, and approaches to make them practical for organizations of all sizes and stripes. Jason is the principal strategist at Communicopia, a strategy consultancy that helps social change institutions become more like movements. With more than twenty years of digital transformation and campaign experience, he has led projects for some of the world’s most recognized social change brands including Human Rights Watch, the Tar Sands Solutions Network, NRDC, Consumer Reports, the UN Foundation, and the David Suzuki Foundation. Jason is the founder of the 15 year old Web of Change conference and he created the world’s first research report on the state of digital teams in non-profits. A recognized thought leader in the fields of network campaigns, digital teams, and organizational change catalyzed by technology, in 2014 Jason was named a Leadership Fellow at the Broadbent Institute. This entry was posted in The Digital Nonprofit 2016 on February 17, 2016 by admin. RYAN SAXBY HILL: Do your technology choices support your organization’s values? What does your choice of technology say about your values? How can choices about technology help build community? Sometimes decisions about Internet technologies seem small, but these small choices add up. Building a strong, resilient, and accessible Internet in Canada requires us all to understand how our decisions affect the larger Internet ecosystem and what we can do to ensure that our decisions are in line with our values. Using data from the .CA Internet Factbook gathered from audits of 400 Canadian non-profit organizations conducted by Framework, and examples from the Internet and domain name industry, this session will address some key decisions about Internet technology and how non-profit executives can make choices that respect their mission, values and the needs of their clients. Ryan Saxby Hill is an expert in communications and digital marketing. He is currently the communications manager with the Canadian Internet Registration Authority, operators of the .CA domain name. Previously, Ryan led media relations and online engagement efforts at the Canada Foundation for Innovation and has held positions handling global communications and PR programs for Ciena Corporation and Nortel Networks. Ryan is a founder of Apartment613, an award winning Ottawa-based digital community media organization and serves on the board of directors for the Centretown Citizens Ottawa Corporation, one of Canada’s most innovative non-profit housing providers. This entry was posted in The Digital Nonprofit 2016 on February 16, 2016 by admin. PANEL: Corporate Community Engagement: How Can Nonprofits build a Corporate Community Engagement Strategy? Corporate Community Engagement: How Can Nonprofits build a Corporate Community Engagement Strategy? How to build engaging & sustainable partnerships with the businesses in your community. Local businesses and nonprofits have a great many reasons to partner up, such strengthening community relationships, creating new business opportunities and building awareness around the needs of great causes. Hear from our panel of experts on what they are doing to connect nonprofits with local businesses and the successful engagement strategies they are using to create wins for all. Destin Jones is a community management and grassroots marketing professional with over 10 years of experience developing innovative and unique community strategies, programs and campaigns. Destin currently spends her days as the Head of Community for local Vancouver startup Change Heroes, and previous to that led community at Hootsuite and then Latergramme. She is a community management instructor at UBC and also volunteers as the Head of Marketing & Partnerships for #SingItFwd, a local fundraising and advocacy campaign focused on youth music education. The data is in: keeping and growing the donors you have is a better use of your time and money than finding new ones. But are we doing all we can to make the our causes deserve to feel special, appreciated and valued? As non-profits we are focused on our bottom lines and fiscal year ends. But that’s not how our donors measure our work. They pay attention to the thank-yous they receive and how they feel when they get them. Maybe that is why, as a sector, we have a big problem: donors are falling out of love with giving to us. Join Rory Green as she explores why your donors support you and why they stop.Together we’ll dive into real life examples examples of what charities have done to keep their donors. You will be inspired to make Donor Love a priority in your digital work and walk away with the practical tips to help donors keep that loving feeling. Rory Green is currently the Associate Director, Advancement, for the Faculty of Applied Science at Simon Fraser University in Vancouver, BC. She has also worked in major and corporate giving at BCIT and the Canadian Cancer Society. Rory’s passion is donors. How to listen to them. How to talk to them. How to help them feel joy through philanthropy. In her spare time, Rory is the founder and editor of Fundraiser Grrl, the fundraising community’s go-to source for comic relief. This past December, the Paris climate talks were the greatest show on Earth. What lessons can we extract from 16 days of media frenzy, all-night negotiations and bad baguettes? Darren shares stories and hard-earned wisdom about digital communications from back stage at COP 21. Darren Barefoot is a writer, technologist and marketer. He’s co-founder of Capulet Communications where he heads a unique movement-marketing program designed for cause-based organizations and leaders ready to engage online movements. He speaks regularly as a digital strategy expert and has been featured on the CBC, BBC and in Wired, the Wall Street Journal among others. He’s the co-author of Friends with Benefits: A Social Media Marketing Handbook. He’s also authored a number of e-books, the most recent being “The Noble Arsonist: Tips for stoking fires and igniting movements for NGOs (and companies that care)”. He recently returned from two years at the United Nations climate change secretariat, where he was consulting on digital strategy. Please join us April 13 for NetSquared Vancouver’s annual conference! We will mix big-picture thinking with practical, hands-on sessions during an inspiring day at the beautiful Creekside Community Centre. Enjoy an amazing menu with meals from Vancouver’s best food trucks and a complimentary on-site espresso cart. Our first two conferences sold out, so please get your ticket before February 15 to take advantage of early bird pricing. This year we are adding a free post-event cocktail hour (seats are limited, so RSVP now) and breakout lunch & learn sessions so that you can get more one-on-one time with our presenters. Here’s our initial lineup of experts. We will continue to update the event agenda weekly with additional presenters. Plus, expert panels on Corporate Community Engagement and Digital Fundraising. A huge thanks to our sponsors. 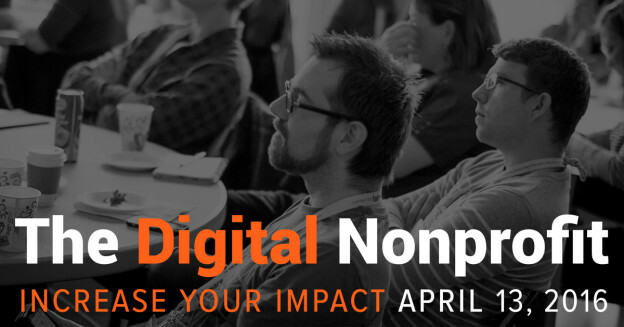 They make The Digital Nonprofit possible! This entry was posted in The Digital Nonprofit 2016 on February 2, 2016 by admin.